The shape of the stony asteroid 14 Irene is not known with certainty, but it appears to be a distorted spheroid measuring just under 170km along its longest axis. A rocky asteroid of the Solar System's main Asteroid Belt, Irene is a stony body composed primarily of silicates. In shape it is nearly spherical, but not perfectly regular, with angular distortions meaning that it measures some 167km along its longest axis, but only 139km along its shortest. 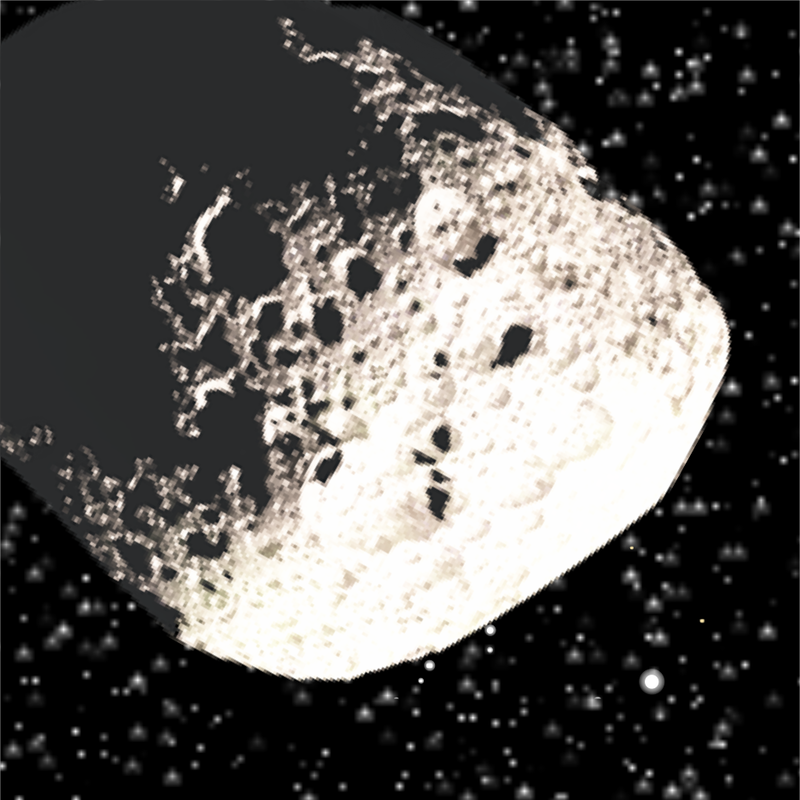 Stony asteroids like Irene are most commonly found in the inner Asteroid Belt, and indeed Irene's orbit carries it through this region, but that orbit is sufficiently eccentric to also carry it out in the deeper regions of the Belt. The course of Irene's orbit around the Sun takes it a little over four years to complete. Irene takes its name from one of the three sisters in Greek mythology, the Horae or 'Hours'. The choice was made because this asteroid was discovered in London during 1851, when the Great Exhibition was being held in that city; the name comes from Eirene and represents 'Peace'. Irene's second sister did not have to wait long for her own asteroid; two months after Irene's discovery, the next asteroid to be discovered would be named Eunomia, 'Law'. The third sister had a longer wait - until 1868 - when asteroid 99 was given the name Dike, 'Justice'.